My plastic envelope that contains my coupons that I am “for sure” going to use on that trip. I keep my store coupons and manufacturer’s coupons for each item grouped together to ensure that I use the maximum amount of coupons for each item. 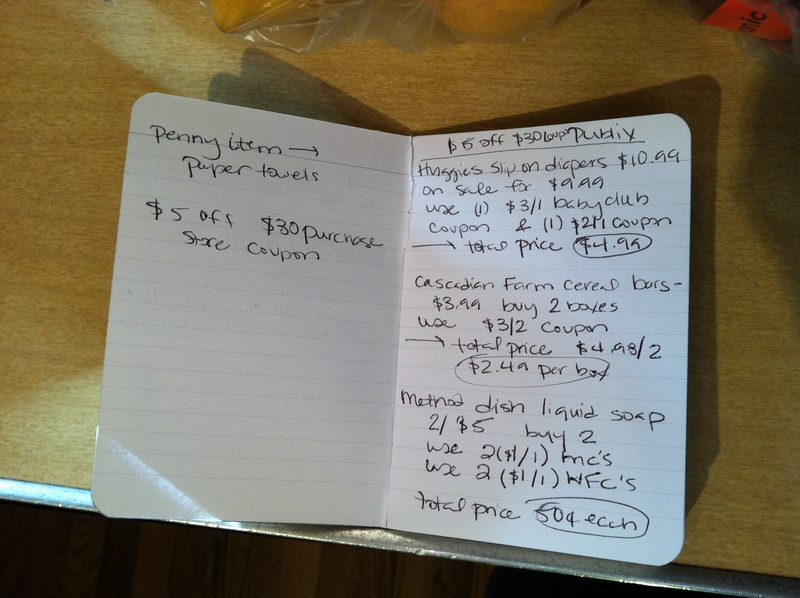 An index card or notebook with all of my deals written on it. This is the notebook that I took with me on this particular trip. As you can see, I list the item, the *sale price*, the coupons I will use, and what each item will cost me. ***I always check the price of an item before I buy. If the sale price is different than what I expect, sometimes I will hold off on buying that item, because the deal isn’t what I thought it would be. Method Dish Liquid Soap- On sale for 2/$5. 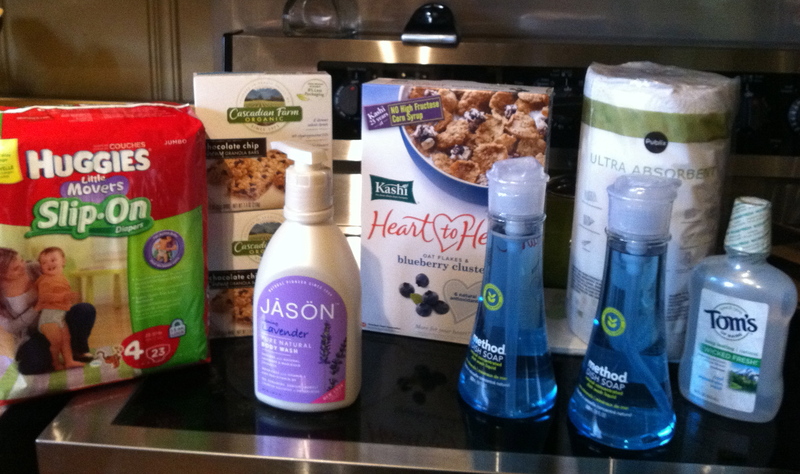 I used (2) $1/1 mc’s and (2) $1/1 Whole Foods Coupons. Making them $0.50 each! Tom’s mouthwash 16 oz.- Regularly Priced at $1.80…Whole Foods sells it for $5.99. WOW what a huge discrepency! Jason’s Body wash- $8.99. (I can’t remember but I think this was on sale for either $7.99 or $6.99. I had a $3/1 mc coupon making this either $3.99 or $4.99. But either way thats great because it costs upwards of $12 at Whole Foods!